Konami’s Super Bomberman R was an exclusive launch title for the Nintendo Switch, but that the exclusivity is coming to an end. It looks like the game has recently been spotted on the Microsoft Store for the Xbox One where it is scheduled to be launched on the 14th of June, 2018. If this is true, the game will no longer be exclusive to the Switch and could indicate that it is also ready to arrive for other platforms as well. For now, only the Xbox One has been mentioned and we don’t know if the game will eventually find its way onto the Sony PS4 console or even the PC. The Bomberman franchise has been around for many years, but it looks like Konami has decided to revive it with this recent title for the Switch. 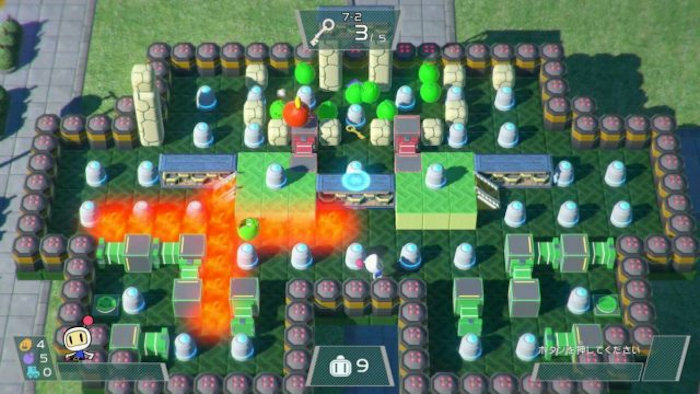 The Switch version of Super Bomberman R even features multiplayer support with up to 8 players at once. The 8 player local support will also be applicable to the Xbox One version of the game, but in this instance, every player will be required to have a controller of their own. It will also support online multiplayer. Fans of this classic series may be able to look forward to more games soon. You never know.